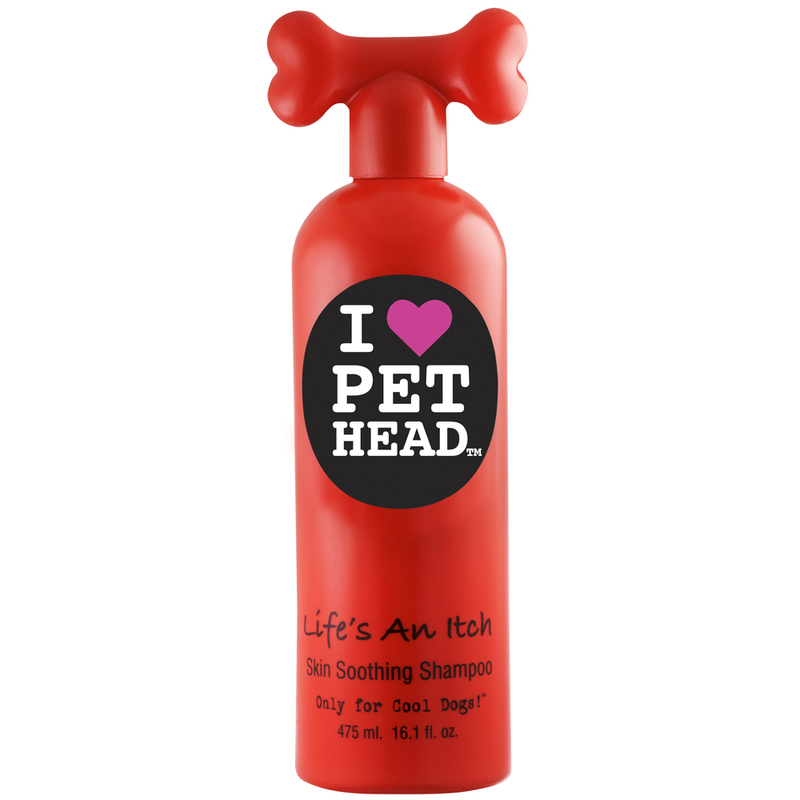 Pet Head Life's an Itch dog shampoo. Stop your Itchin! This amazing formula effectively relieves skin irritations caused by insect bites and dry skin. It contains no harsh chemicals, coal, tar or drugs such as cortisteriods. Scented like yummy Passion Fruit. Oatmeal and Aloe Vera: Work together to soothe the skin. Tea Tree Oil: Helps purify fortify and moisturize hair follicles. Wheat protein, vitamins and chamomile extract: nourish the skin and leave the coat silky and conditioned. 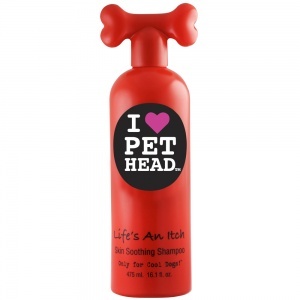 If you like with the Bed Head range from Tigi then you will love Pet Head. It offers the same fantastic quality with funky packaging that looks great in any bathroom and smells good enough to eat!